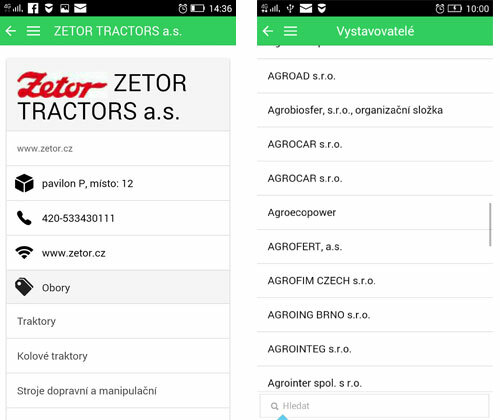 Mobile app for fairs, online info. Congress attendees registration, mobile app, website. Mobile app for your fair brings visitor experience to the next level. Your visitors have all important data and updates always on hand. Custom fair visit plan for every visitor. Interative maps of the fair. Save your time with congress agenda, give your attendees something special. Attendees registration, online payments, custom registration forms. Website of the congress included, mobile app for attendees. Everything with up to date informations. Website of the workshop. Attendees registration, online payments, custom registration forms. Photos publishing into mobile app and website. Mobile app brings attendees experience to the next level. Fair programme, list of exhibitors and all informations always in hand. Share last-minute updates, important news or timely reminders with a quick and easy push message. Everything in mobiel app as well as on website. We can connect the system with yout internal data to minimize your effort while keeping all data up to date. You will get great tool for fair agenda management. Mobile app for fairs. Give your visitors option to have agenda, list of exhibitors or interactive map always on hand. Share last-minute updates effectively. EventPlace. Global application containing all actual events. Corporate. Corporate app containing all actual events of your company. 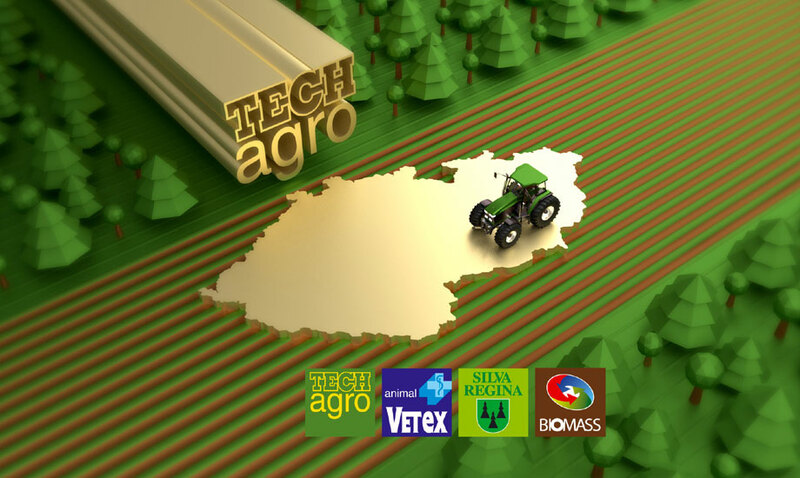 List of exhibitors, detailed informations, search within the app. Categories of exhibitors by industry areas and hall locations. 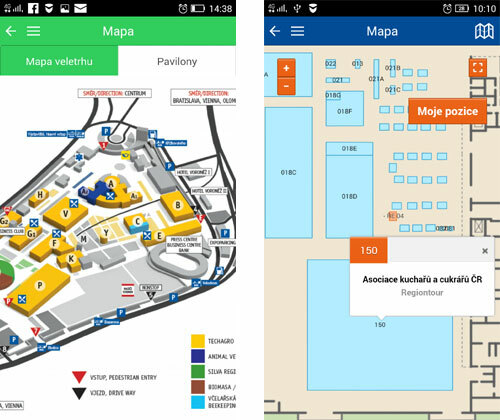 Maps of fair as image or interactive map with search of exhibitors and GPS localization. Keep fair agenda always up to date for you and your visitors in mobile app. 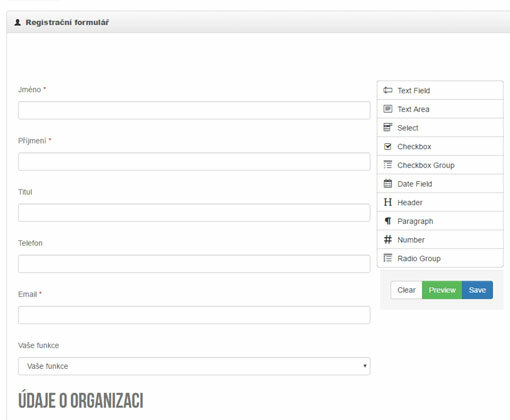 Eventplace is great tool for agenda management in a team. Personalization is a key. Attendees love to pick and choose from your event programme. They can put together their own private overview of what they want to do and where they need to go. Share last-minute updates, important news or timely reminders with a quick and easy push message. Fair agenda changes during the event? You need to tell visitors something important? Use PUSH notifications and inform visitors in mobile app. Add new reports and photos from your event online. Quickly share with visitors. Each event has its own website on eventplace. Containing the same data as mobile app (agenda, exhibitors, galleries) and even more, you get CMS for custom pages. 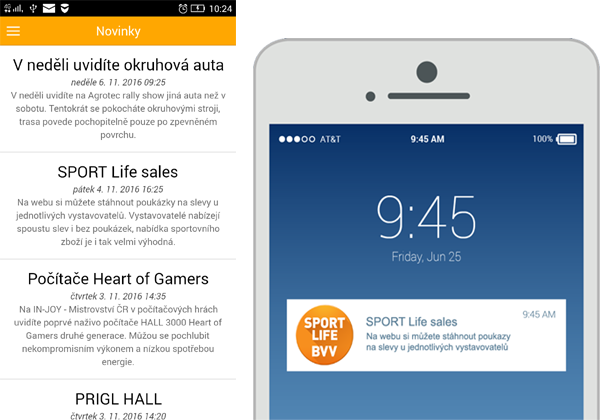 BVV - biggest fair in Czech Republic - is using eventplace. Also your next event can have mobile app. With us it's quick and easy. Eventplace is all-in-one solution for congress, conference or workshop management. We help you with attendees registration, allowing your attendees online registration and online payments. You can post photos from the event directly to the website and mobile app. Make your life and life of your attendees easier. Allow online registration to the event. Give your attendees option to pay online. Eventplace keeps eye on payments for you and dramatically simplifies your agenda work. System of substitutees helps to maximize occupation of the event. Send email to registered attendees with more info and attachments automatically. Customize your registration form. Add fields you need to have in the form. Public fields for registration, private for your own needs (like hidden notes). Mobile app for congress. Give your visitors option to have agenda, list of exhibitors or interactive map always on hand. Share last-minute updates effectively. Also your next event can have mobile app, website and online registration. With us it's quick and easy. 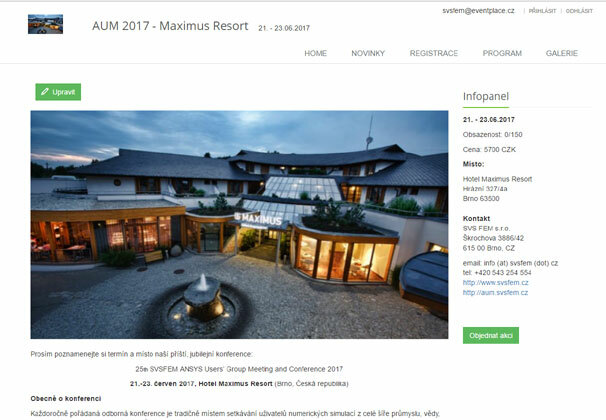 Our solution is used by biggest trade fair events in Czech Republic (ie BVV), companies organising their own conferences, professional congresses and even smaller non profit organizations. 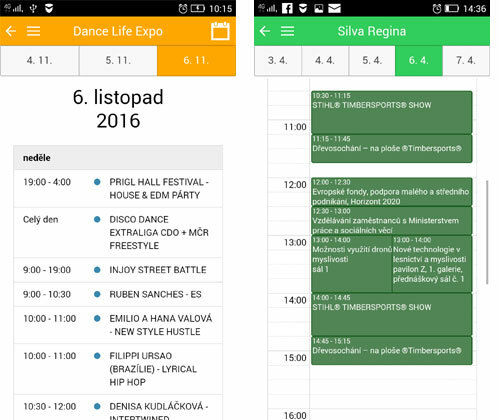 We created mobile guide for the biggest sport nad dance fairs in Czech Republic. 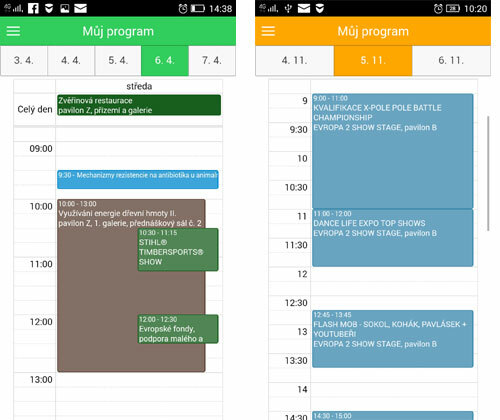 Mobiel guide of the biggest agricultural fair in Czech Republic. 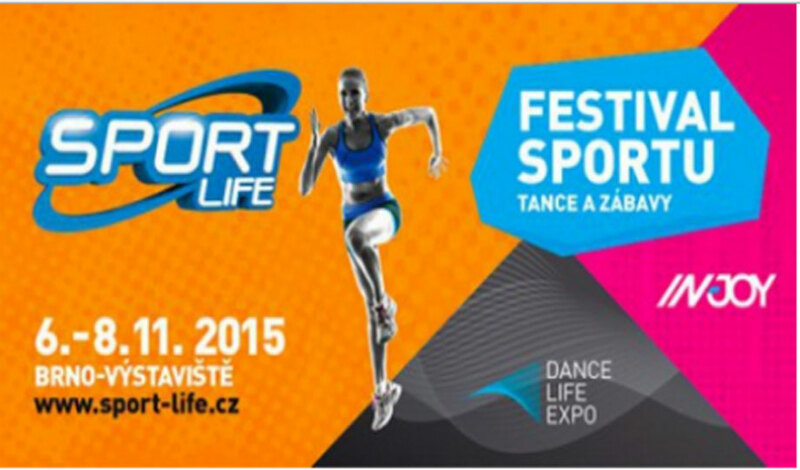 Mobile guide for SportLife 2015 fair. Mobile app for summer kids camp. Photos, news, informations. Mobile guide for Go Region 2017 fair. 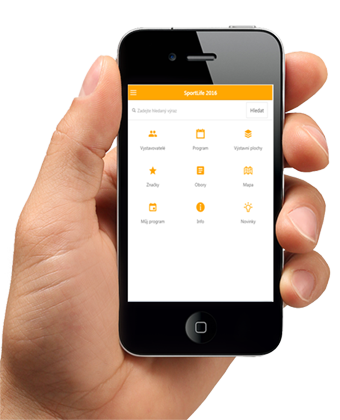 Mobiel app for user meetings of SVSFEM company. We believe evenplace is great helper for your businees. Get in touch with us and let's make your next event better together!